For those who love exploring historical and urban legends that are less known but still not lacking in things to see then cities like Udine and Trieste could be perfect choices for you. These two cities are hiding magic that will offer, to one that explores them, an interesting vacation. Even though the Friuli region is not very touristy its cities can offer you unforgettable adventures any time of the year. Visiting Friuli during the winter is perfect for those who like skiing and winter sports but you should know that the climate here can be very cruel. Low temperatures, strong winds and rain are normal for these cities during winter. In Udine there are so many opportunities for those who like historical monuments. This small city, of around 100 000 habitants, is well know for its churches, of which some had big importance in the past and a big historical value today. 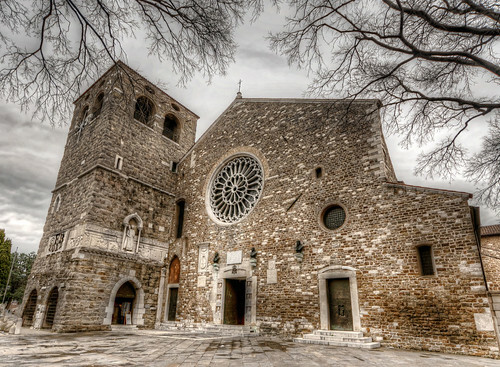 The Church of San Francesco, St James Church and Church of Sant’ Antonio are the most important ones that are located in the urban area of the city, really easy to reach on foot. Apart from the churches you shouldn’t miss: the town hall called Loggia del Lionello based in the main square called Piazza della Libertà, Torre dell’Orologio based in the same square and many other buildings like Casa Cavazzini, Palazzo Bartolini and Palazzo Patriacale. Trieste is bigger than Udine with a population of around 200 000 habitants. It also has a lot to offer in an artistic and architectural sense. Here to there are many different buildings of importance like the City Hall and Palazzo Carciotti. The symbol of the city is defiantly Piazza Unità d’Italia. Trieste can boast about a couple of archeological remains like the Arch of Riccardo, Roman age temples and the Basilica Forense. Miramare Castle, located around 8 km outside the city, and Castle of San Giusto are of the big historical importance and can offer a lot to their visitors in a cultural and architectural sense. Above all of this, to the tourists visiting these two locations even only walking around the city will offer a beautiful emotion and sense of magic that you surely won’t forget easily. No matter what time of the year you decide to visit these places you will always find a special atmosphere here in the streets.